July 14, 2017, 7:28 a.m.
Splashing in the surf, the taste of sea air and the fun of running in the sand. We're not the only ones who like going to the beach; many of our canine pals like the sights and sounds and smells of an ocean experience, too. Some like wading into the water or digging in the sand. Some prefer racing up and down the shoreline. There are dogs who chase balls into the waves and others who prefer watching safely from dry land. There are critters to meet, other dogs to greet, and just so many places to explore. At the end of a beach day, no wonder dog (and owner) are so tuckered out. We rounded up a dozen delightful doggos enjoying a day in the sun, surf and sand. It will make you want to pack a beach towel and join them. Like this little guy who maybe got a little too up-close and personal with sand. 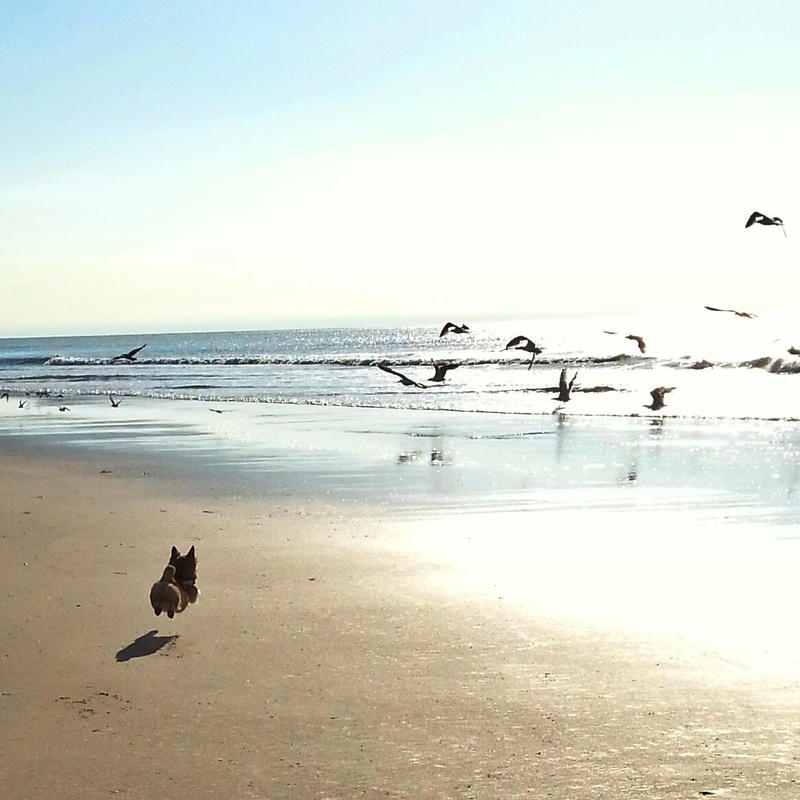 This Norwich terrier nearly became airborne when she discovered seagulls were amazingly fun to chase. And this pup discovered there's something different about the way the air tastes near the water. Throw a toy into the surf and water-loving pooches will splash through the rollicking waves to get to the object of their desire. This owner posted, "I was walking my dog along the beach when suddenly she left my side, ran up onto some rocks, sat quietly and watched the surf for several minutes. Wonder what she was thinking about." A wet dog is a happy dog. Wheeeeeeeee! The beach is amazing! 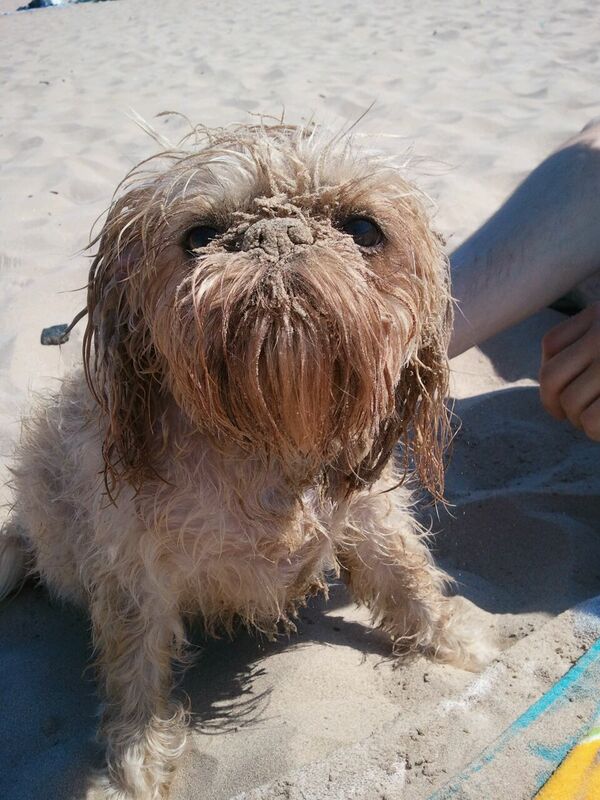 OK, so dogs shouldn't eat people food, but it's the beach and it's hot and maybe it's a doggy ice cream cone. Said the owner of his photo-gone-awry: "Tried to take a cool action shot of my dog at the beach.. she turned out looking like some sort of feral kangaroo." Mary Jo DiLonardo writes about everything from health to parenting — and anything that helps explain why her dog does what he does. With the water, the sand and the sea air, there's just so much for these dogs to love about the beach. Your dog and cat need extra protection both indoors and out. You're not the only one who gets dry, flaky skin when the weather turns cool. With cold weather and storms on the way, here's what you can do to help homeless dogs and cats. Help needy outdoor cats by providing food, water and shelter.